The Ministry of Defense of Afghanistan has announced that the 217th Corps of the Afghan Military was formally inaugurated in Northeast of Afghanistan on Wednesday. Deputy defense minister Gen. Hilaluddin Hilal said the 20th Pamir Division in Kunduz province has upgraded to 217th Pamir Corps and Gen. Nabiullah Mirzayi, the former Chief of Staff of Special Operations Corps has been introduced as its commander. 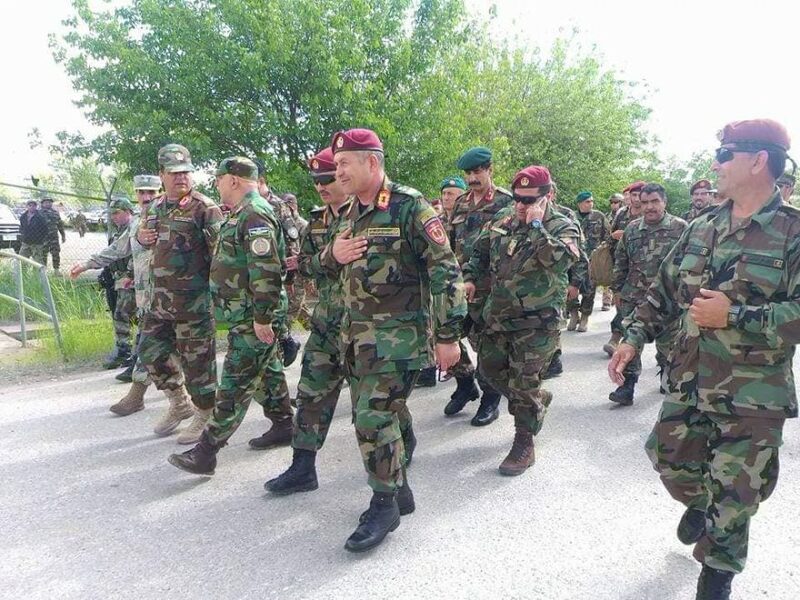 Gen. Hilal said the establishment of 217th Pamir Corps in Northeast of Afghanistan is a positive and effective step to provide security and defend the residents of north-eastern parts of the country. The acting minister of defense Asadullah Khalid had earlier said considering the vast swathes of territory in the north and large population living in northern provinces, the leadership of the government and defense institutions have reached to a conclusion that the existing forces are not enough to provide proper security to people. He also added that the leadership of the ministry of defense considers segregation of duties and changes should be incorporated in leadership and opinion to lead the war in the North.